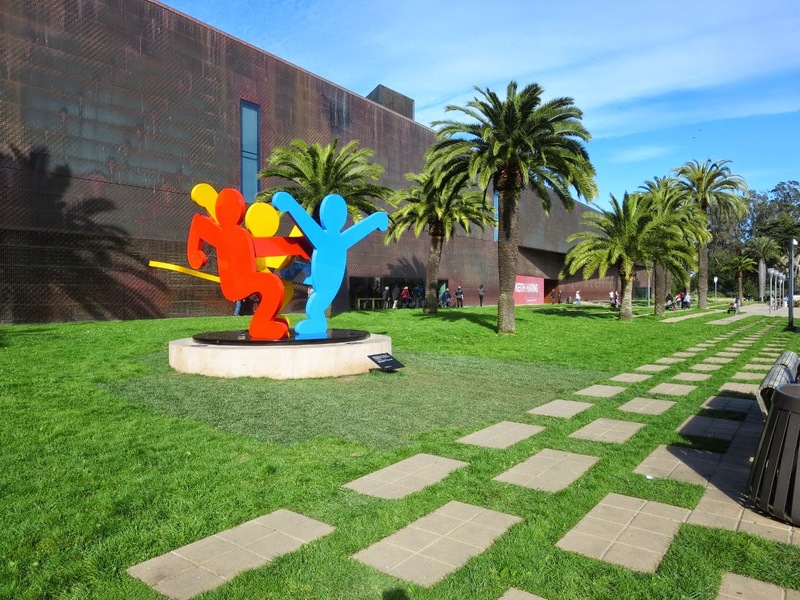 Keith Haring: The Political Line is at San Francisco's de Young Museum through 16 February 2015: there are fewer than four weeks left to visit the special exhibition. If you've put off going because you think Haring's work is schematic, repetitive, and/or cartoonish; and/or that political expression has little or no place in art ... well I'm going to recommend you think about setting aside hesitation and heading to Golden Gate Park, before the exhibition goes dark. The de Young is putting on the first major Haring show on the West Coast in a couple of decades -- more than 130 pieces. Those locals who miss the current show may not get a chance to change their minds soon or easily. 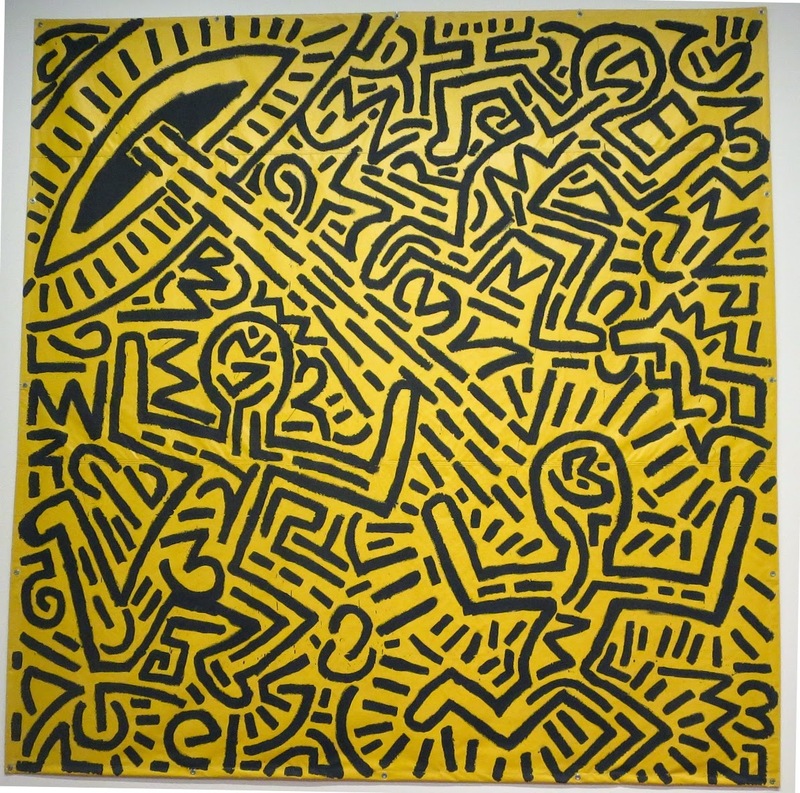 Up front confession: I feel a connection to Haring's work because he depicted a zeitgeist that defined times (early 80s) and places (New York and San Francisco) that mean a lot to me personally. Haring was drawing all over New York's subway stations as I edged out of the closet in 1982, in the SF Bay Area. The AIDS epidemic that took his life at age 31, in 1990, was killing thousands of gay men in his community and mine -- this during a period when the U.S. government callously abdicated its role in public health and precipitated the emergence of a movement that wholly upended the relationship between patients and medical authority. 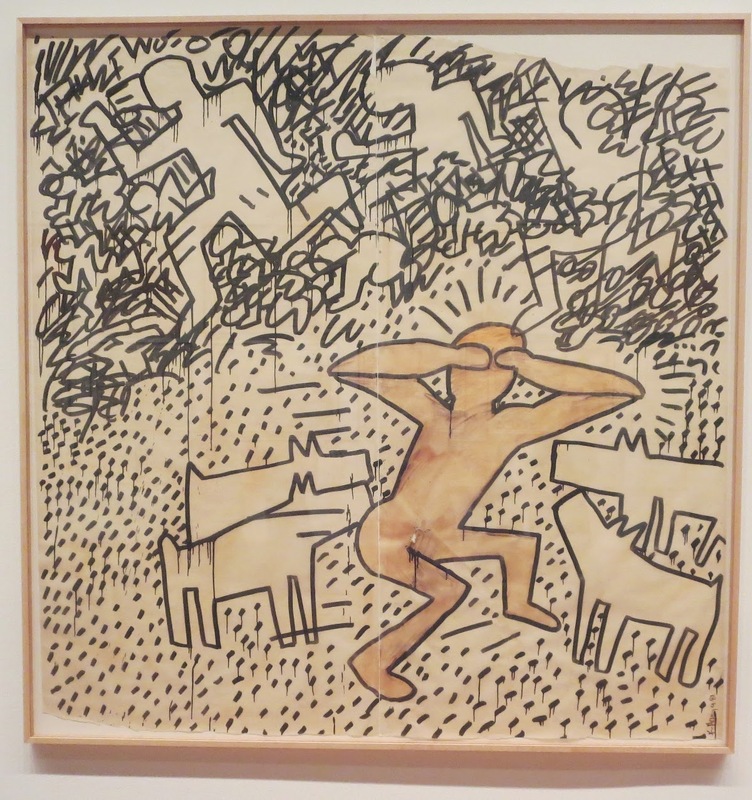 That connection aside, the signature value of the show at the de Young is the clear view it affords of how Haring took a small set of archetypal forms (simply drawn humans, dogs, flying saucers, televisions, crude/sharp weapons, et al.) and combined them vividly, energetically, and in rich combinations and juxtapositions to create a lively and evocative body of work. As I walked through the exhibit several times, back and forth, it occurred to me that complaints about his 'limited' set of tropes bear a certain resemblance to fretting over the fact that the whole of European and American literature is composed of a mere 26 repeating letters of the Roman alphabet. That is, it kind of misses the point. Forest for trees and all that. 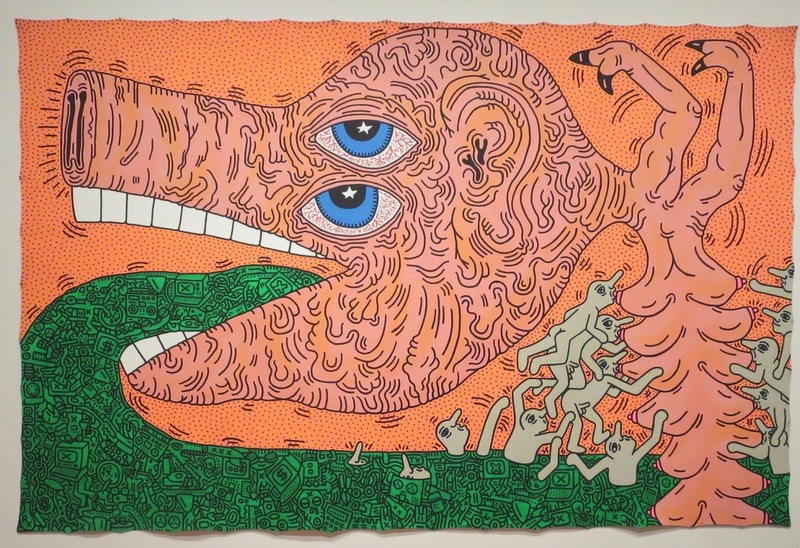 Haring's work isn't about the individual elements of his work: it's about how they work in concert. Twenty-three years ahead of the event, Haring nailed the feel of images that flooded out of Abu Ghraib prison in 2004, and prefigured the Columbian artist Fernando Botero's paintings that interpreted them. But Haring's work (and the show at the de Young) wasn't all about power, politics, or reference to art that came before and after Haring's too-brief time on culture's stage. There is something philosophically fascinating (to me at least) about how the crowded, chaotic interplay between his simple lines and figures suggest interpenetration and interconnection of, well, everything. 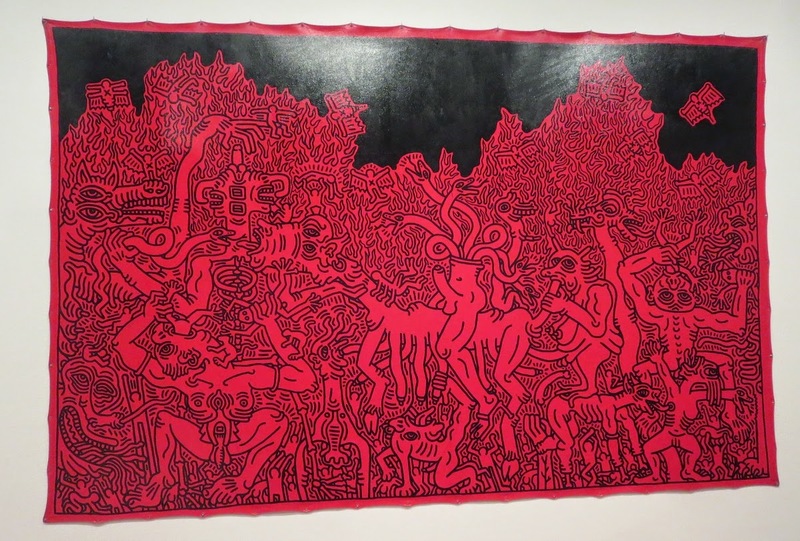 This piece from the early 80s -- though it does, on its surface, depict elaborately constructed, otherworldly, omnipotent power, and human fear and helplessness before it -- themes Haring treats throughout his oeuvre -- also evokes a world in which the borders between everything and everyone are as flimsy and vulnerable as life itself, all in the seemingly random scribbles inside and outside the fleeing human figures. Powerful stuff. 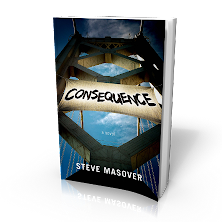 Check it out if you can. Thanks to Wikimedia Commons for the image of a bound prisoner being terrorized by an American soldier and his dog at Abu Ghraib prison in Iraq, first published by the Washington Post in May 2004; and for the right panel of Hieronymus Bosch's ~15th century tryptich, the Garden of Earthly Delights. The cascade of disruptive protest in the wake of grand jury failures to indict police responsible for the deaths of Mike Brown in Ferguson or Eric Garner in New York haven't gone away just because it's 2015, or because a small number of NYPD acted like petulant children at the funeral of Officers Rafael Ramos and Wenjian Liu, who were also tragically assassinated (most to-the-point commentary: The Fire This Time, by editor David Remnick in the 12 Jan 2015 issue of The New Yorker). Neither winter's cold in Boston nor, um, overcast skies in San Francisco have dissuaded protesters from insisting that -- this time -- the long and bitter history of police violence directed against African-American men will not be swept under the rug. Betweekn 7ish and 9ish this morning, three downtown San Francisco BART stations were intermittently evacuated (except for protesters in the low-dozens at each station who were 'armed' with spoons and digital cameras). 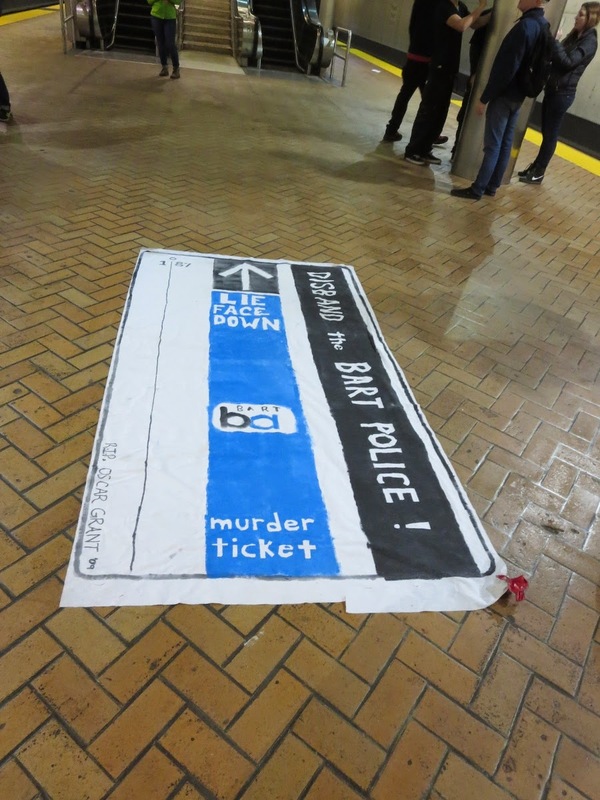 The protest focused especially on a threat by BART officials to demand restitution payments of as much as $70,000 from 14 activists who shut down the BART system by blockading trains at Oakland West station in November (the SJ Mercury's day-before article, Potential BART protest Friday in San Francisco may snarl morning commute describes this link). Speaking of broken outrage-meters. There were other demands as well, predicated on the simple formula, which we should all be ashamed is not blindingly obvious and unnecessary to insist on: that Black Lives Matter. There's plenty of news coverage, statements have been issued, I won't recap all that. 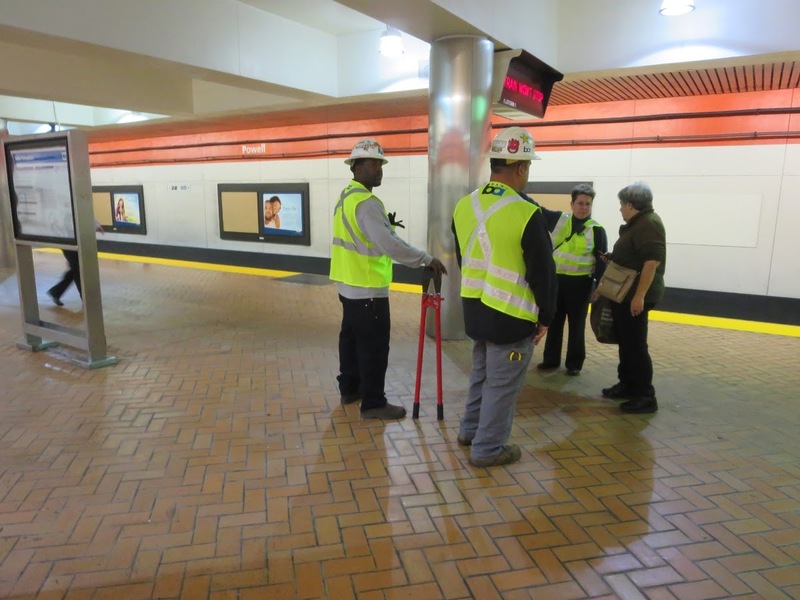 I do think it's remarkable that BART decided to keep stations closed for quarter-hours at a time because a couple of dozen activists were present in a given station and making noise (well, lots of noise) by banging spoons against hard surfaces inside the underground echo-chambers. Did those closures make sense? Maybe. I read it as a calculation on the part of BART management to avoid systemwide paralysis by moderately inconveniencing the system's riders. Closing some downtown stations where they believed there was a risk protesters would block the doors of trains (can't do that if the trains don't stop) -- and leaving other stations open while running above-ground MUNI busses and trams (at no charge) to ferry people to where they had originally planned to exit BART -- kept the trains running and justified the overtime to which management and SFPD had apparently committed in advance. Full disclosure: I only came to that conclusion after the fact. 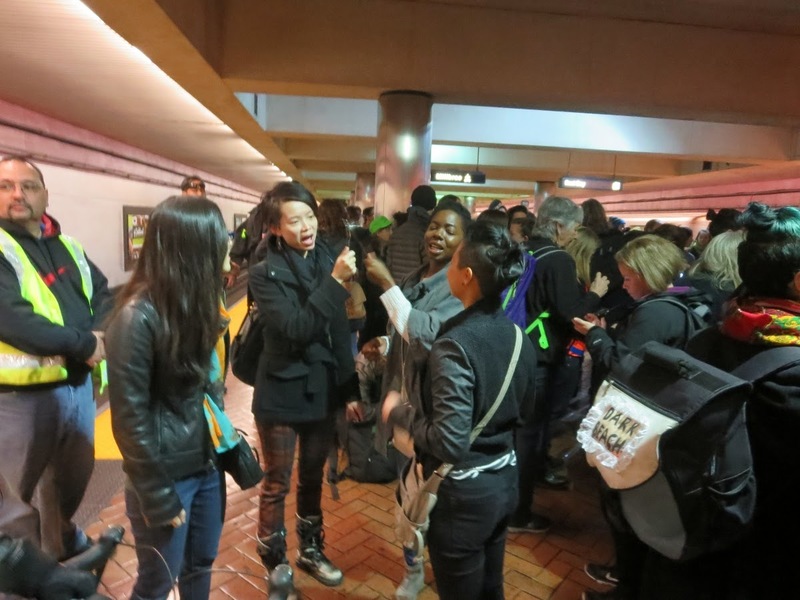 As the morning progressed, I opined to friends at Embarcadero Station that there was no way that police would let a couple dozen spoon-banging activists shut down a BART station in downtown San Francisco. I was wrong. Were commuters irritated by having to exit at a different station than they planned, and by delays of 10 or 15 minutes? Some were. Others thanked activists, in and outside the stations, for helping to focus attention on deeply-ingrained patterns of police violence against and disproportionate incarceration of people of color, most especially African-American men. 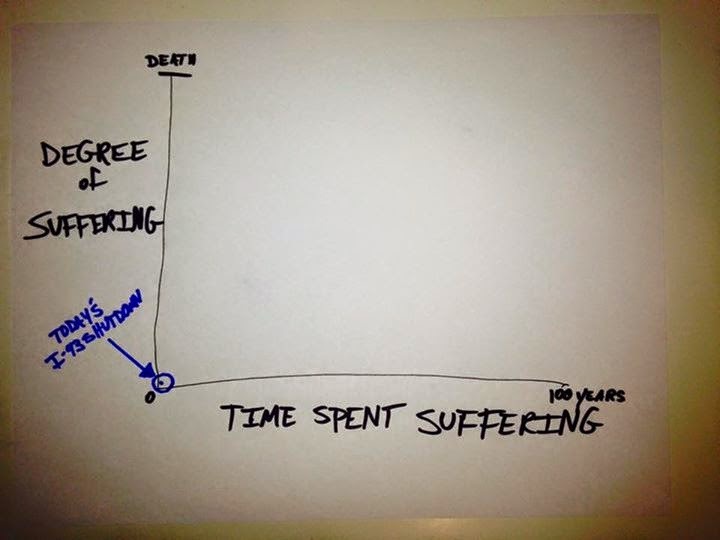 Filling in other points on the graph -- say points that represent getting shot and killed, or strangled, by a police officer for existing, unarmed, in public -- is left as an exercise for the viewer. 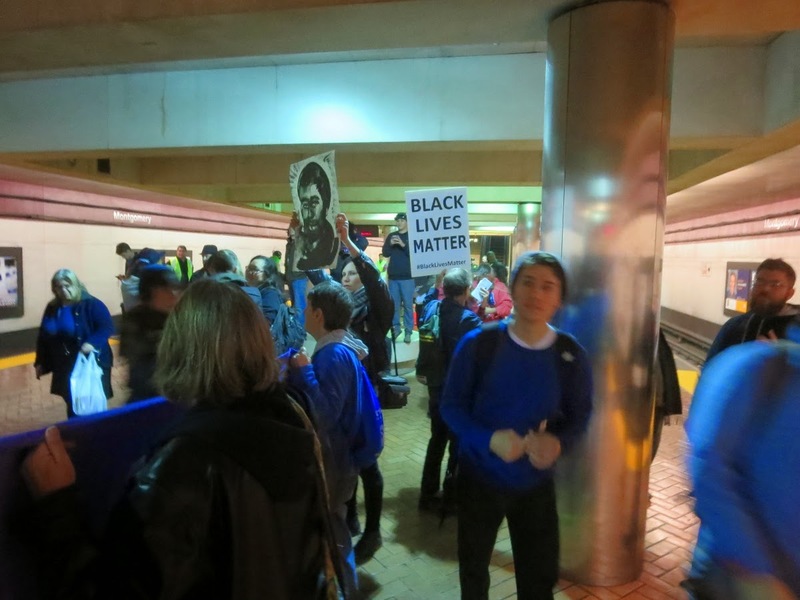 Here are some pix and video that are a more fair (if less dramatic) representation of this morning's BART protests than you'll find in most MSM stories about activists 'armed' with spoons, video cameras, slogans, and a boom box calling attention to #BlackLivesMatter. The video that follows starts as the protest kicked off a little after 7am inside Montgomery Station; switches to the above-ground march (on the sidewalk even!) between Montgomery and Embarcadero Stations, with flash mob interlude to the tune of Michael Jackson's They Don't Care About Us; then a good look at a BART train barreling through a cavernously empty Powell Street Station as police look on and a couple dozen activists ... wait for it ... make noise with spoons. 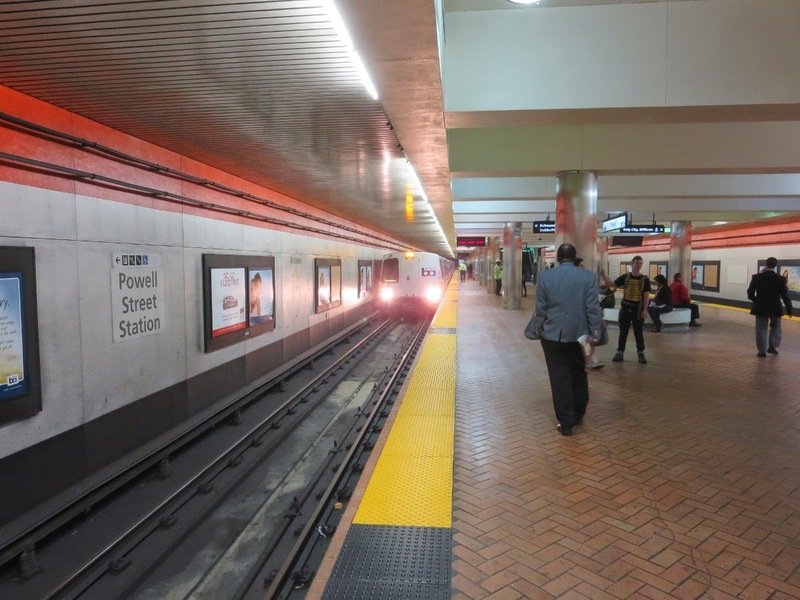 The announcement sign is displaying the words "Train Won't Stop" at nearly-deserted Powell St. Station, where BART workers wait around to cut very large locks or chains that never materialized. That photo at the top of this post? 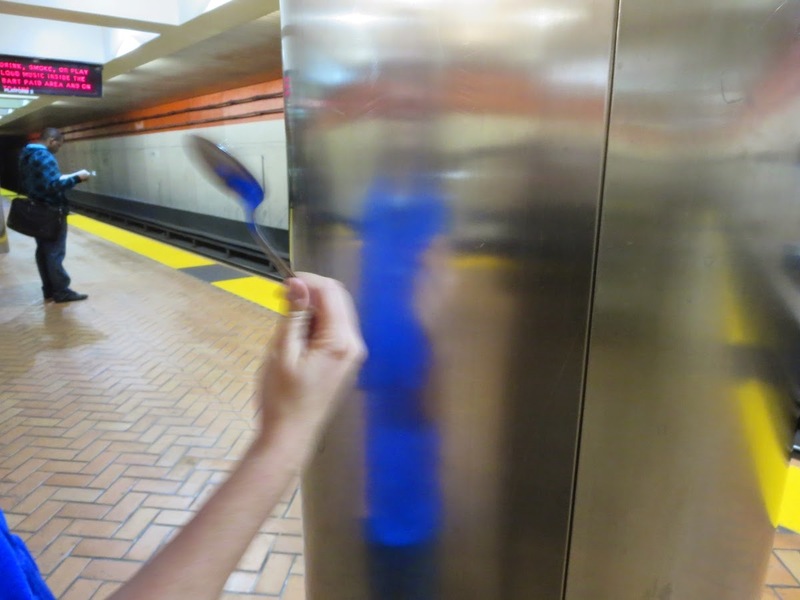 The one of a spoon-banger in action at Powell St. BART? 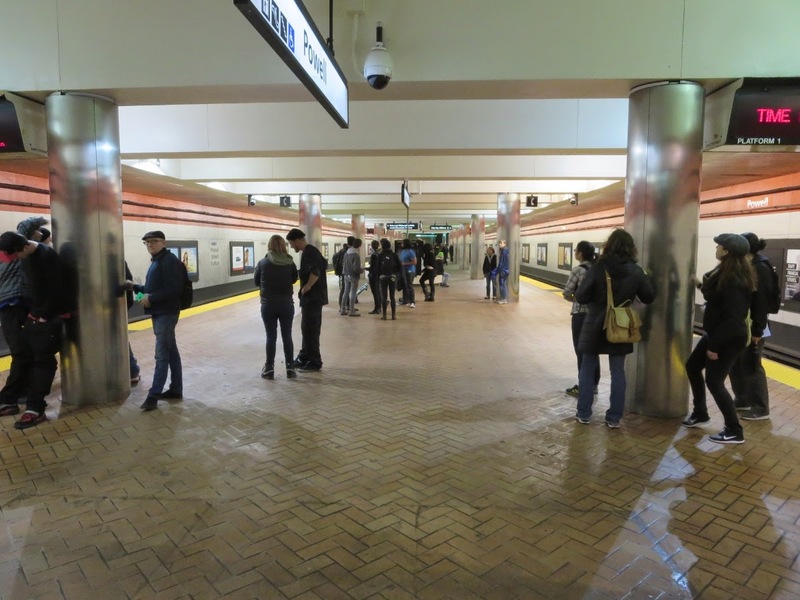 The announcement sign behind him is displaying the BART management's admonishment that riders may not "drink, smoke, or play loud music inside the BART paid area and on trains."